The Musculoskeletal Pain Research Lab on the ground floor of Shands Hospital, in Room G-056. Patient parking is available in the parking garages located to east & to west of the hospital. We will provide parking vouchers at our study appointments. 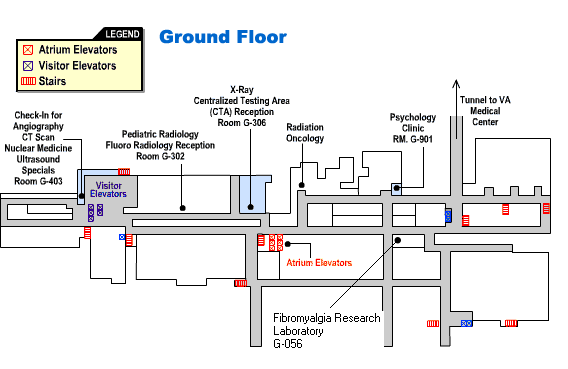 When entering from the west parking lot towards the Radiology Department, the lab will be located in the second hallway to the left. 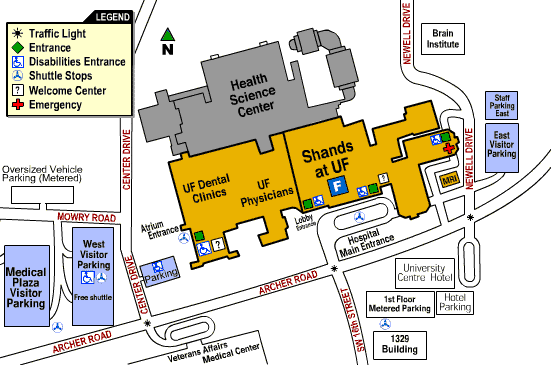 PLEASE NOTE: The Musculoskeletal Pain Clinic is located at Shands Atrium (former DP-1) adjacent to Shands Teaching Hospital.